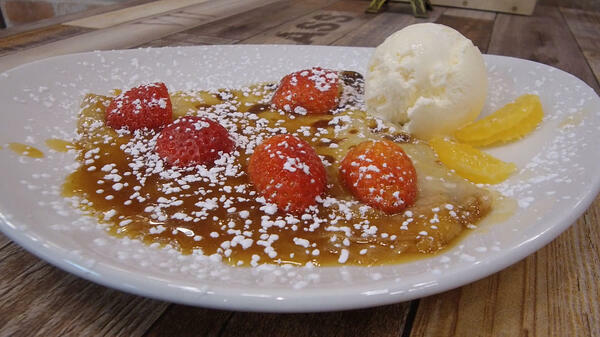 Plenty of things from the 70s have come back in fashion - bodysuits, denim-on-denim, and now the Crepe Suzette! Miss Claude’s Crepes in Newmarket have revived this old classic, which takes a crepe and flambés it in homemade orange sauce (with a splash of Cointreau). Topped with creamy vanilla ice cream, strawberries and orange slices, this dessert is perfect for any occasion.